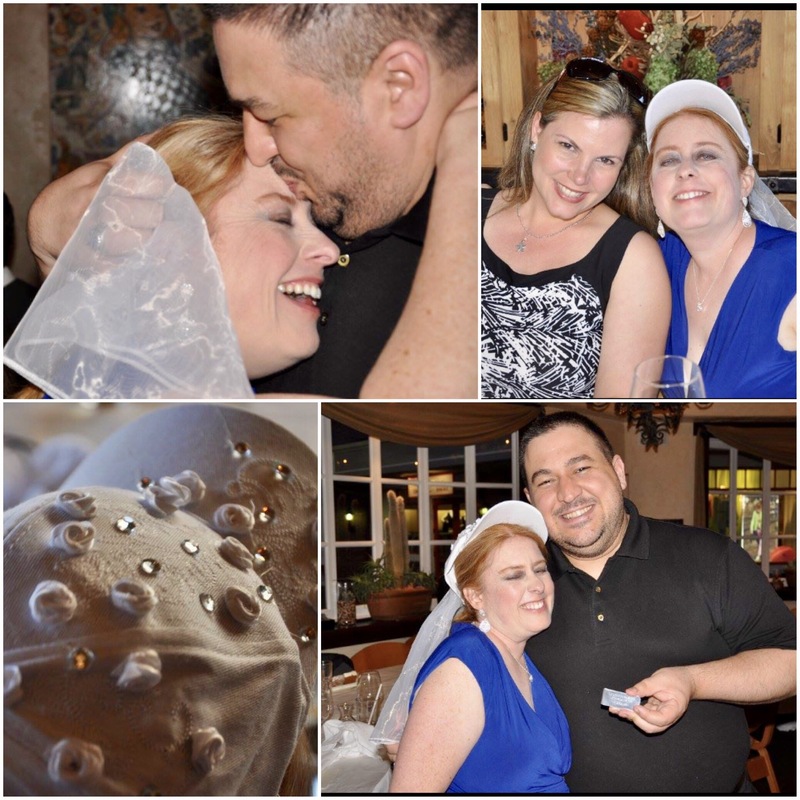 In honor of our first wedding anniversary, just four days from today, today’s Throw Back Thursday features highlights from my Bachelorette and Rehearsal Dinners. The former was a great event that allowed me to celebrate with my Maid of Honor, Petra, My Bridesmaid, Shauna and friends Monica and Katki in a low key and very fun night out. This small group has had so many wonderful changes occur within this year. Each of us has had a job change. Shauna, who became engaged before my party, has been planning 2018 her wedding. Katki opened a private therapy practice and gave birth to her son, who Matt and I babysat last weekend. I conceived our baby and will be four months pregnant on our wedding anniversary. Petra flew in from out of state and was with me all day for my Bachelorette. She went with me to get my nails done and did my makeup for the party. She even made me a beautiful veil with seashells on the back to commemorate my love of all things related to The Little Mermaid. I’ve been invited to several Bachelorette parties, and each had a completely different main activity from club dancing, to a comedy club, and an elaborate sushi dinner. 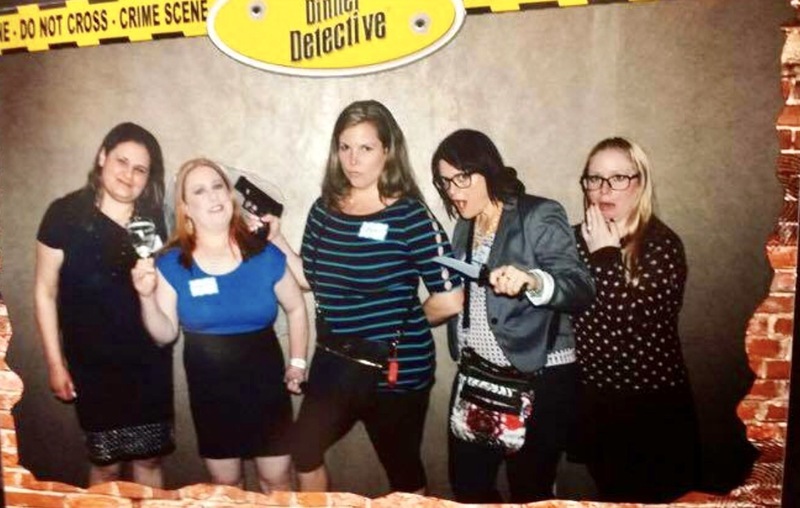 I chose to do something new to all of us, so we went to The Dinner Detective, a murder mystery dinner. None of us solved the mystery, though Petra’s guess was close to the solution. I had fun being the rookie partner of the detectives. Petra had paid extra so I would be a minor cast member that night, my larger role was most likely chosen as they saw it was my Bachelorette Party from my veil. 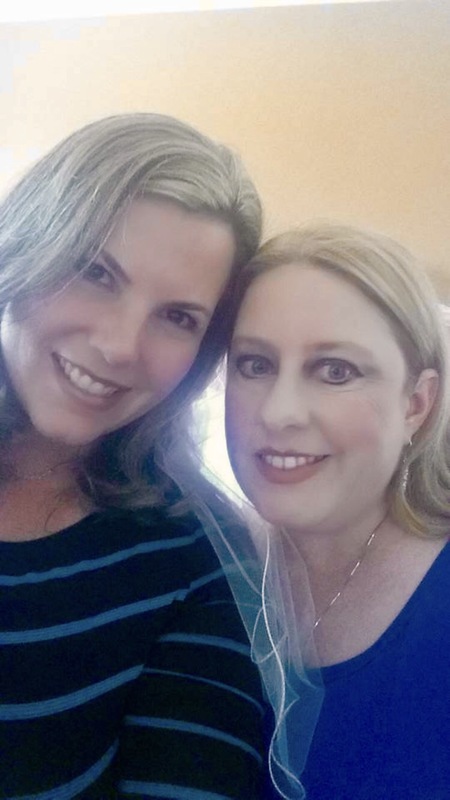 Petra also did my makeup for my Rehearsal Dinner. As I was going for a simple and beachy look for the actual wedding day, for which she also did my makeup, I asked for a look I’d always wanted to try: a very dramatic cat eye with blue eye shadow. I love how it came out and matched my dress. It was a fun night and I wore a bride baseball hat with roses and rhinestones and a veil. I love these photos of us along with those of Matt and I, even though I had my eyes closed in both. In the second one of Matt he is holding the money clip personalized with our wedding date and location I got him as part of his wedding present. Both nights were an amazing time celebrating with good friends (and in the rehearsal dinner with family as well). Though I rarely wear makeup in my day to day life, I’m so glad I have these beautiful looks captured along with all the fun we had.